I am an artist who specializes in art quilts of spiritual themes that express my faith. I am also passionate about making pieces for healing and using art to make the world a better place. 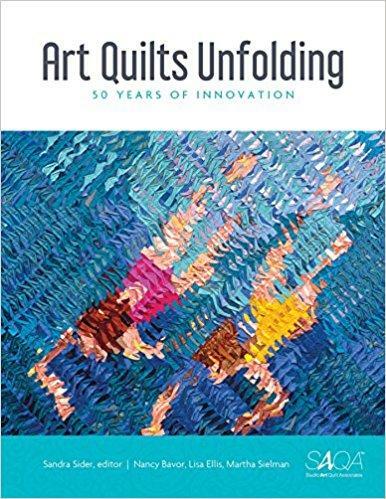 The book Art Quilts Unfolding is out! This was a labor of love and I am proud to have supported the project. To learn more, go to my News page. I am pleased to be teaching my Charming Cathedral Windows class in Houston this fall 2019. Monday, October 28 from 9:00 am to noon and Tuesday, October 29th from 2:00 5:00 pm. Later this spring, look at the Quilts, inc. website to signup. 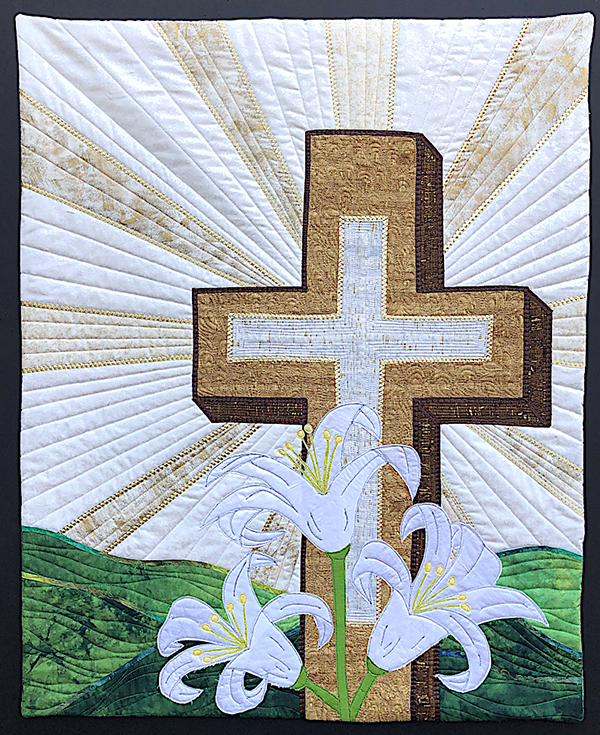 My first completed quilt for 2019 is a new Easter banner for my church. I call it "He is Risen". Meanwhile, I have continued working in my series based on the traditional cathedral window block. I have added a new Cathedral Window pieces to my series: Effervescence. "Effervescence" was at the International Quilt Fstival - Chicago 2019 in the Celebration of Color exhibit. Effervescence and Beach Textures debuted in Houston in 2018. Midnight Mosaic debuted in Houston 2017. Radiance and Midnight Blooms debuted in Houston in 2016. All rights reserved. Lisa Ellis of Giving Back Technology, LLC.